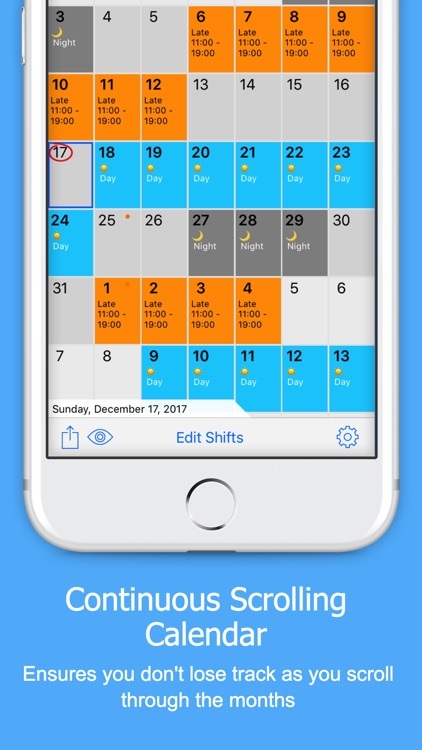 - Enter the date of your next shift in the app to calculate your shift rotation for the next five years. The only app available that can do this! 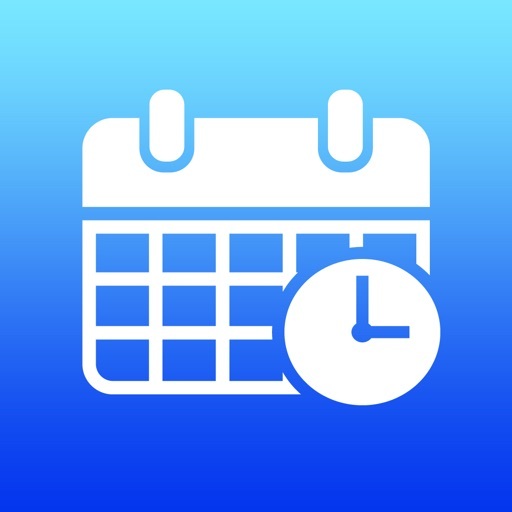 - A continuous unbroken scrolling calendar makes it easy to view your upcoming diary, including where they overlap months. The only app available that can do this! - Work irregular shift patterns? No problem, you can manually add in shifts too. 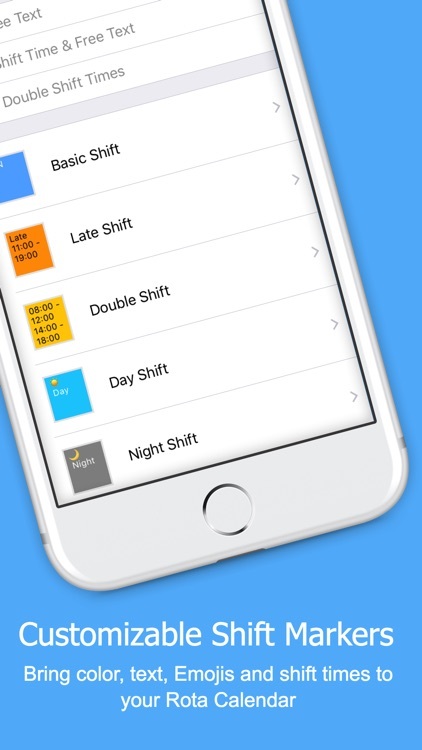 - Need to categorize your shifts to tell between them at a glance? 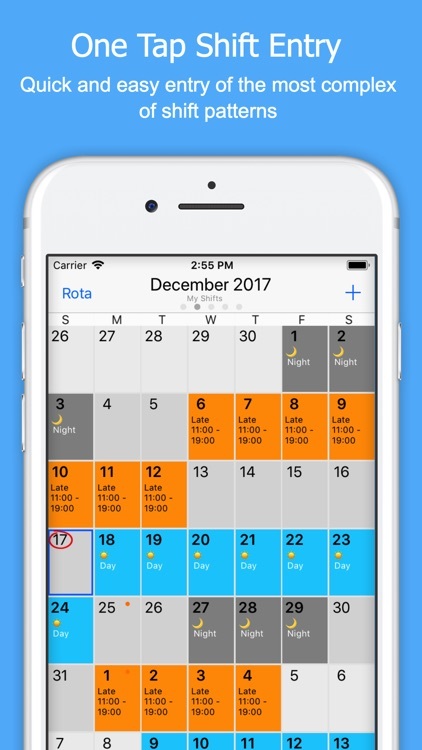 Rota Calendar allows you to create your own shift markers displaying times, text, emojis etc. You can also pick your own custom colors and change individual shifts once they are on the calendar. - Ideal for North American Fire Services rotating shift schedules. 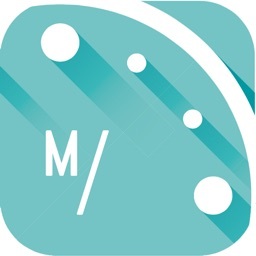 - Compare your shifts with the rest of your digital calendar. Rota Calendar synchronizes with other calendars set up on the device – including iOS, Facebook and Google calendars. You can add and edit these events via Rota Calendar. - Use AirDrop to Instantly share your rotas and shift schedules with nearby iOS devices. - All of this in the clearest, most attractive layout in the app store! 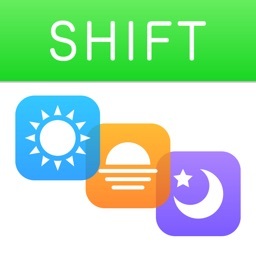 Join the thousands of other shift workers who make planning their personal time a breeze. Download Rota Calendar to plan your shifts and get control back of your social life! Best app I’ve used. Extremely easy to add rota and use. 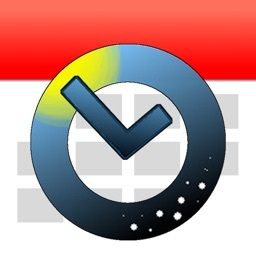 Would, and have, recommended to anyone that needs a rota app. Of the dozens of apps I’ve got this is the best. Use it constantly and was easy to set up. I’ve moved on to a different rota but can still see my old one which is really useful. Always get a reply when I send a query and comments are taken on board. Very clear - big and bold - in constant use. Class app. Easy to use. Great for myself because I need to know what days I am off in a years time. As I work in the oil rigs 2 weeks on 2 weeks off this app was perfect for working out my rota in seconds! And worth every penny! This app is fantastic! 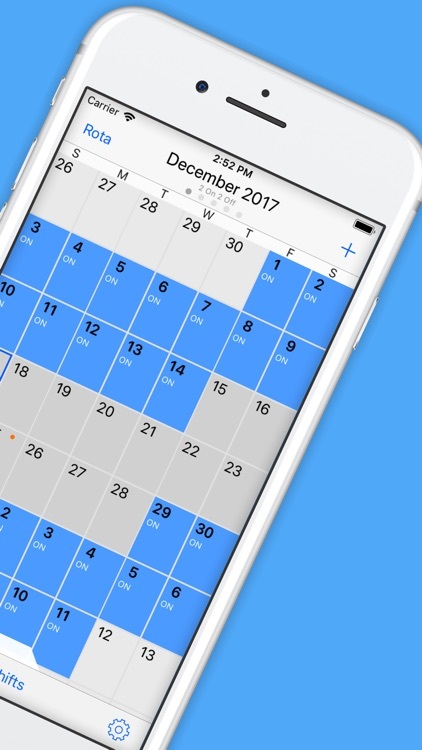 It allows you to see months/years ahead and has many different color coded shifts as required that you don’t need to pay for. 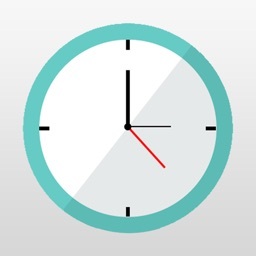 Found this app so easy to use for a 3 on 3 off days and nights was done in a min forever fantastic. This is perfect for shift workers and works well. I have a complicated shift pattern and this makes it so easy to look up future dates instantly. I rate this highly. Love this app would not be without it now easy to use and customize with your own preferences.